To recover from some unexpected situations like human errors, Disk failure or RAID, Corruption of file systems we need a good backup plan. The following Top 15 Free Open Source Backup Software for Ubuntu/Linux which we are going to discuss is very much helpful to avoid these types of situations. But before going our main discussion, let’s discuss some necessary things we need to know about backup software. Open source software – we should use software which has the source code is available and may be free and have the authentication for modifying. It will help us to ensure that we can recover data in case vendor/project stopped working on software or refused to provide patches. Cross-platform support –We need to make sure that backup software will work on all OS platforms on all desktop and server operating systems. Data format – We need to check that if It has an open data format which ensures that we can recover data in case vendor or project stopped. Auto-changers – Auto-changer is backup devices. They include a library, near-line storage also autoloader. Auto-changers allows us automatic loading task, mounting, and labeling backup media. Backup media – Before starting we need to make sure about backup of our data in other external files. Encryption DataStream –We need to make sure all client-to-server traffic is encrypted. Database support – We need to make sure all backup software can backup database server such as MySQL or Oracle. Here we are, coming with the Top 15 Free Open Source Backup Software for Ubuntu Linux. These 15 are the best and most popular Free Open Source Backup Software for Linux operating system. 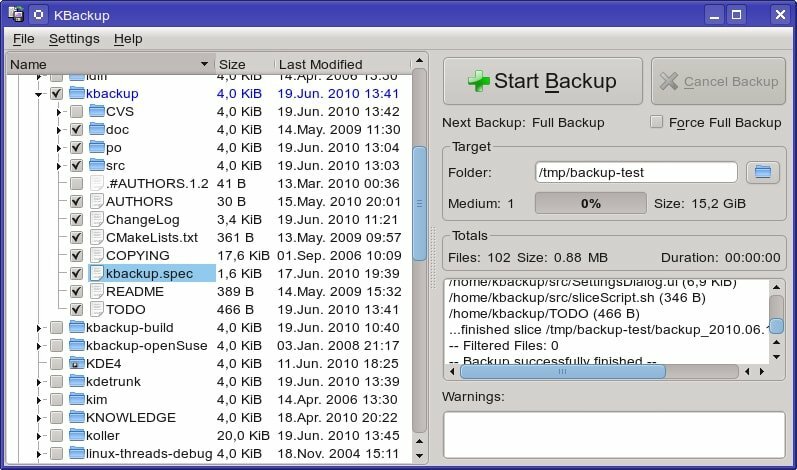 Bacula is an Open Source Backup Software. This enterprise level computer backup system can work in various networks. It is an automated task that need not require intervention from a systems administrator or computer operator. Bacula supports Linux, UNIX, and Windows backup clients. It also supports a wide range of professional backup devices and tape libraries. Administrators and operators can configure the system via a command line console, GUI or web interface. Its back-end is a catalog of information which is stored in MySQL, PostgreSQL, or SQLite. 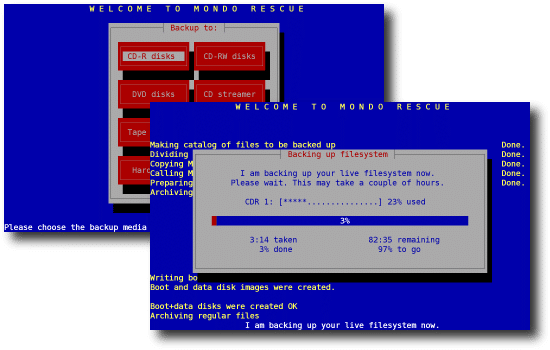 Another very interesting Open Source Backup Software for Linux is Amanda. It can work on GNU or Unix/Linux also Windows. It has native backup facilities and formats which can backup on Unix/Linux. We can use a single backup server too if we want to backup from several machines on a network. Rsync is a command line Linux backup tool, but now it has a graphical user interface also. Linux users, especially System Administrators like it very much. Its graphical interface is called Grsync. 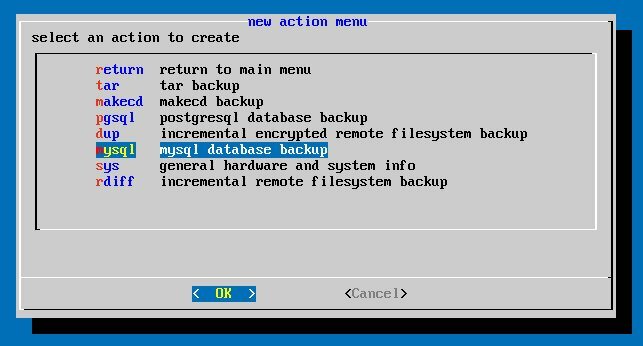 Through command line, an automated backup can be done through the experienced System Administrators. 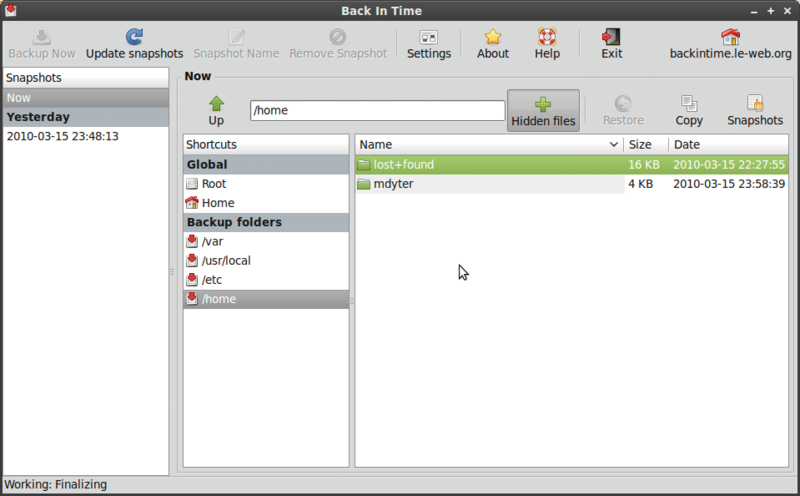 Time Vault is an Open Source Backup Software for Linux. It’s equivalent to Time Machine from Apple. It creates incremental backup files that can be restored at a later date. It can take snapshots, and that can be stored in a directory at a certain point in time. These snapshots are very little spaced, so we need not entire backup files. Symantec Ghost Corporate Edition launches the Open Source Backup Software Clonezilla based on DRBL. The primary mechanism of this software includes Image partition, partial clone, udpcast, etc. To bare metal backup and recovery udpcast. There are two types of Clonezilla are available. These are Clonezilla live and Clonezilla SE. 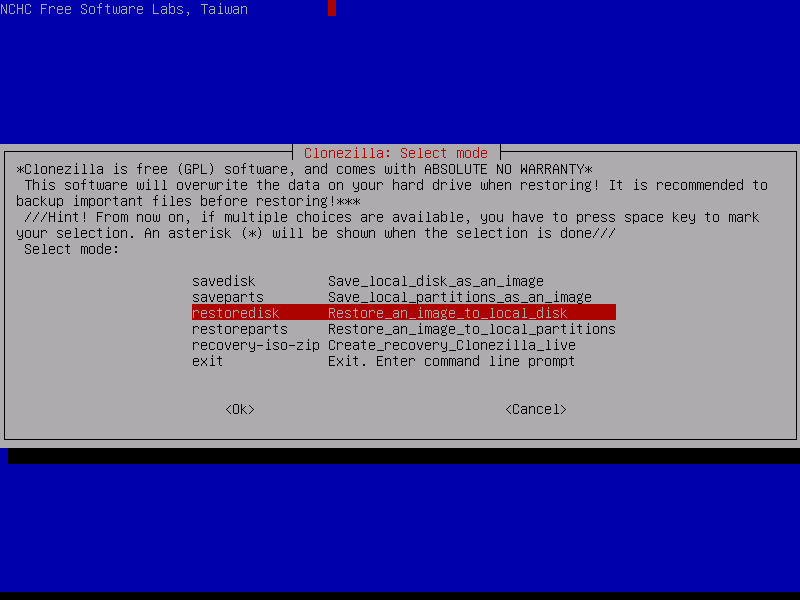 For single machine backup and restore Clonezilla live is used and for a server, Clonezilla SE is used. Duplicity backups directories by producing encrypted tar-format volumes. It uploads them to a remote or local file server. Duplicity uses librsync which is incrementally archived. It only keeps recording the parts of files that have changed since the last backup. Duplicity uses GnuPG to encrypt and/or sign this archive. Flyback is created based on Rsync. It creates incremental backups of files like the other Rsync based backup which can be restored at a later. A chronological view of a file system, which allows individual files or directories to be previewed or retrieved one at a time. They present a view of a standard file manager which enable additional controls to go forward and backward. 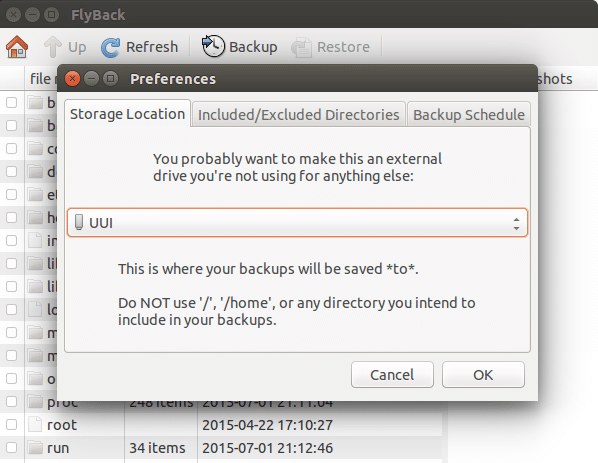 Backupninja is a useful reinforcement backup tool for Linux. Backupninja enables clients to plan reinforcement action design documents. Those documents can be hung in /etc/backup.d/ Directory. Backupninja performs secure, remote and furthermore incremental reinforcements over a system. Kbackup is a straightforward backup tool for Linux OS, which can also be used in UNIX. After creating archives and compressing them using tar, gzip utilities it takes backup. It’s very user-friendly and has a lot of menu items to operate. It also supports encryption and double buffering. BackupPC is a fully cross-platform software which can run on all OS. This software is designed for enterprise use. BackupPC supports full file compression and uses small disk space. BackupPC doesn’t need any client-side software to run. This can provide a very high-performance backup. 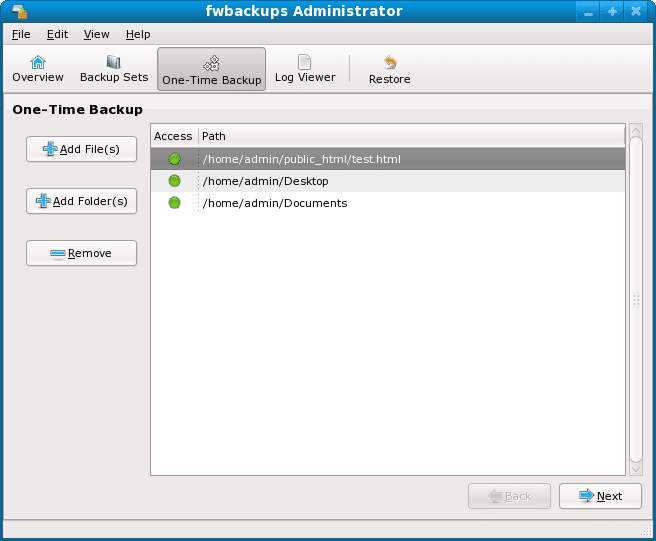 Fwbackups is another Free Linux Open Source Backup Software that supports the cross-platform. Fwbackups has vibrant features and user satisfaction rate. One of the exciting things about Fwbackups is user can take part in the development of this software and only can use it as a tester. It has a very user-friendly interface which can be used as a secure backup. Gnome interface is used as a backup configuration where users can access all. Mostly used for the Gnome desktop. Regex can be used for specifying files and directories. Friendly and good looking interface is easily customizable. 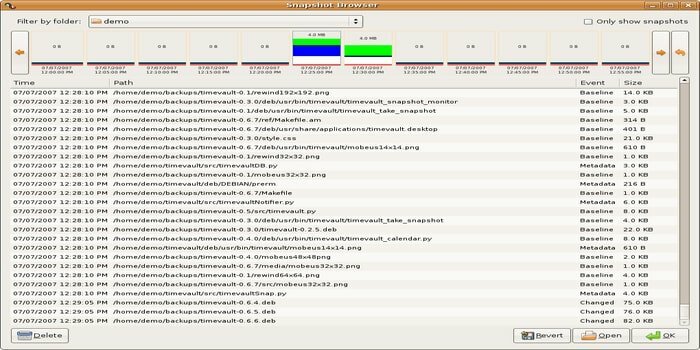 It is straightforward and simple to utilize the backup tool for Linux operating system and works by taking snapshots of determining indexes and sponsorship them up. Two types of backups Manual or automatic. This is one of the best and free open source backup software. Mondorescue is very much reliable because it has an extensive collection of comprehensive-features. It can perform backups from personal computers, workstations or servers. Backup directories can be circle partitions, tapes, NFS, CD-[R|W], DVD-R[W], DVD+R[W], etc. 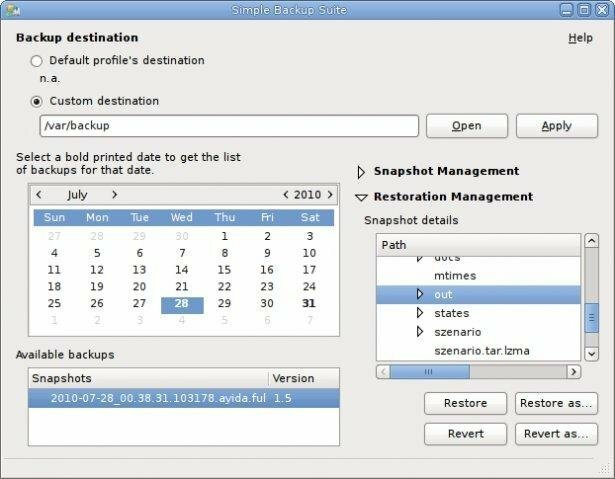 Open source and utterly automatic backup software for Linux. Backup data can be stored on the server and can be restored very quickly. The user can choose optimized and documented if their files in a local server or can be backed up in live server. 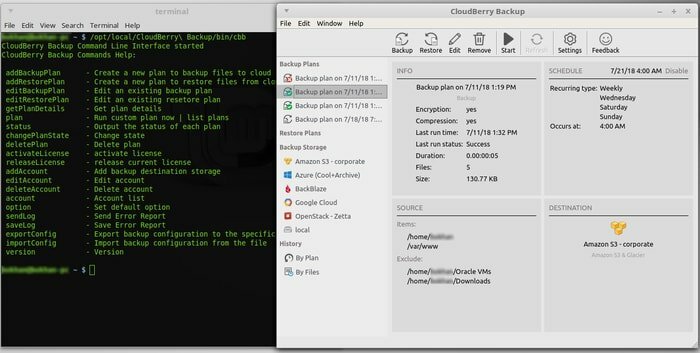 CloudBerry Backup is a free cross-platform cloud backup solution that provides decent backups of your computer or server. It has advanced backup customization features and supports Linux, Ubuntu, Debian, Red Hat, Fedora, CentOS as well as Windows and Mac OSs. This backup software is featured with command line console, GUI and web interface. With CloudBerry Backup you can back up files and folders to your local drives or to cloud storage: it is compatible with more than 20 popular cloud storage services including Amazon S3, Microsoft Azure, Google Cloud Storage, BackBlaze B2, and more. Backup of personal computers or servers is always essential to prevent permanent information misfortune. Therefore, becoming acquainted with different backup tools is very important, particularly for System Administrators who work with extensive measures of enterprise-level information and even on personal computers. It is always a conventional practice to keep on going down information on our computers; this should either be possible physically or configured to work consequently. 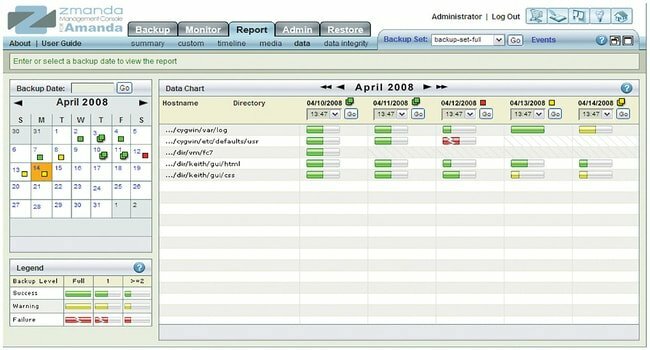 Numerous backup tools have different features that allow users to set the sort of backup, time of backup, what to backup logging backup exercises and some more. Did you like this list of best and free open source backup software for Linux? If that happened so, please share this with your friends on social media and apparently, this will keep UbuntuPIT alive. Nice and Useful Article , thanks a lot . Thanks for sharing Backup Software for Linux. very greatful article, I hope you will share more information for your Blog. Keep us sharing more interesting posts. Few commands in cron / shell script solve all of these features. I never used any backup software instead of script, even I early backup on tape. deserves a look for this category.